Some time ago I built a compact beam for 6/4/2m aimed at /P operations. 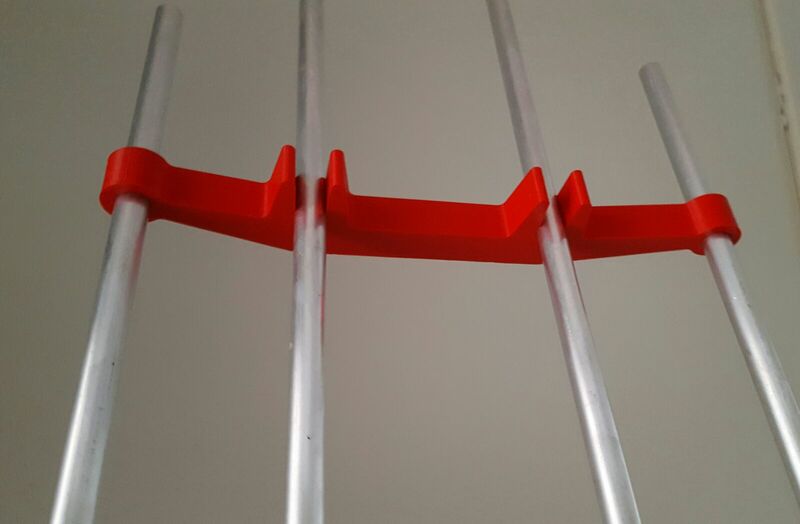 It is a design by DK7ZB featuring 3 elements on 2m, 2 elements on 4m and 2 elements on 6m. I tested it when I finished building it and SWR was good on all bands. Apart from a short appearance in LX (2 QSOs), I had not used the beam on the air. 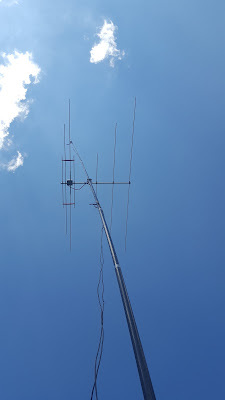 For 6m I use an end fed half wave vertically - both when I am /P as well as at home. It is amazing how effective a vertical wire is in Es conditions. I have worked stations all over Europe with that antenna using 100w. I was curious how the beam would perform in comparison. 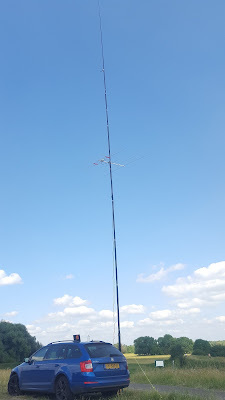 We are in the Es season at the moment and there was a 6m contest on last weekend. So I decided to go out /P and test the beam properly against the end fed wire. I used one of my Spiderbeam poles with the end fed wire in the top (feedpoint about 12m high) and the beam a bit lower at about 8m high. With PG8M - who lives just under 30km from where I was /P - I tested the characteristics of the beam via ground wave. We found a difference of 2 s-points front to back and 5 s-points front to side. All in all this shows me that this beam is definitely an interesting antenna to use in the field for 6m. It is light, easy to set up and relatively easy to transport. As the 6m reflector is rather long for easy transportation I am thinking of splitting the reflector in two or three parts. While I was testing this setup I logged 25 stations, collecting 10 new grid squares on the go. Where do you buy the spacers ? Hello OM, the spacers are custom designed and printed by a friend.